I Have An Injured Employee: What Are My Responsibilities? As an employer, you may be responsible for replenishing lost wages if one of your employees suffers a job-related injury. Most of the time, you will also be required to have workers’ compensation insurance, which is designed to pay a portion of your employee’s usual salary during the time in which they are recovering from a work-related illness or injury. Some types of workers, such as railroad workers and independent contractors, are not covered by workers’ compensation laws. Additionally, employees can also sue their employers (albeit rarely) if they sustain injuries due to health and safety violations in a workplace or from employer negligence in general. Is your employee’s injury work-related? 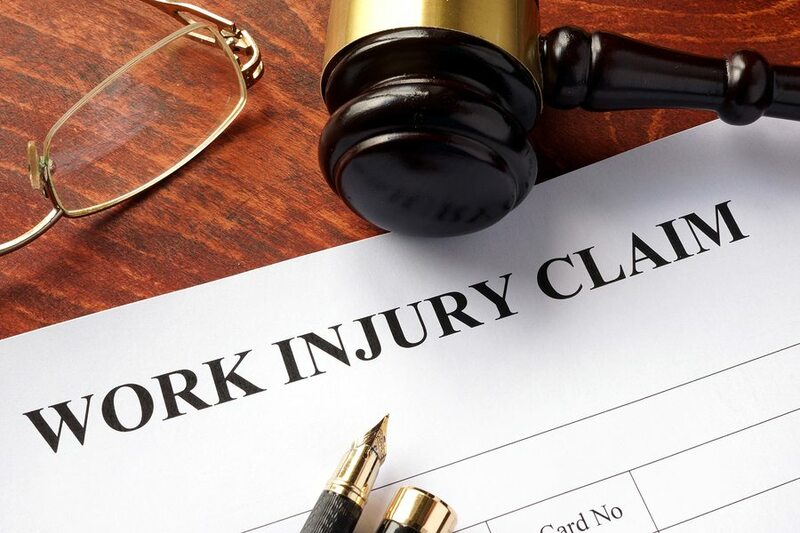 If your employee’s injury is truly work-related, meaning it happened during their work duties or performing a task on your organization’s behalf, then they can claim for workers’ compensation, as well as other forms of relief which you should provide for them. Sometimes your employees may even be covered if they have disregarded your workplace safety rules, for example, if they were “messing about” when they should have been working. This is contentious, however, and tends to divide state governments and courthouses across the country. Generally speaking, to count as work-related, your employee’s injury has to have occurred during an employee’s work hours, which means that their lunch breaks are disregarded unless they spent it on your premises and suffered an injury in that time. Injuries resulting from drunkenness can still be deemed work-related, particularly if they occur during a work-sponsored Christmas party, for example. If your employee has a pre-existing medical conditioned which is aggravated by working at your business, this also usually constitutes a workplace injury. Similarly, mental conditions can be treated the same as physical conditions if they are determined to have been sustained as a result of your workplace. Most states will require employers to carry workers’ compensation insurance, though it’s worth noting that Wyoming and Idaho don’t require the coverage of undocumented workers. On the other hand, states such as California, Texas, and Arizona include undocumented workers specifically in their coverage of “workers”. Domestic workers (such as nannies and babysitters), seasonal workers, undocumented workers and agricultural workers may not be deemed “workers” by many states, so be sure to take this into account when reviewing your Workers’ Compensation Coverage. Employees who fall under the eligibility guidelines can file a claim for benefits, which is usually around two-thirds of their regular salary. However, they are not entitled to sue you for their injuries in court too. Nevertheless, employers must provide the insurance coverage which is required by the laws in their state. If they don’t, they could receive steep fines and legal troubles galore. Employees who are not covered by Workers’ Comp benefits are often still entitled to legal benefits and compensation from you. Independent contractors, for example, may have contracts which stipulate that an arbitrator settles legal disputes between you and them. Occasionally, in rare cases, an employee may try to sue you. However, this requires very specific circumstances, and is not likely to occur. Employees who aren’t covered by the Workers’ comp agreements have other options available to them legally, such as the Federal Employees’ Compensation Act, the Federal Employment Liability Act, the Merchant Marine Act, the Longshore and Harbor Workers’ Compensation Act, and the Black Lung Benefits Act. As you may have guessed, a lot of these legal acts are very industry-specific, relating to industries such as railroads, maritime business, and mining. Unless your business fits into these industries, it is unlikely that you will have to learn too much about them. Nonetheless, it’s a good idea to check what options your injured employees have available to them, whether they’re covered by your insurance policies or not. It can be incredibly useful to be one step ahead of your injured employees, as it allows you to take precautions and predict the legal actions they may take. Got an injured employee? Looking for legal advice about what your responsibilities are in this situation? Put your mind at ease today by getting touch with one of our knowledgeable advisors.